Just three paediatric oncologists serve Ghana’s population of 29 million, but this dedicated team leads one of the best childhood cancer programs in West Africa. Dr. Vera Adobea Essuman (paediatric ophthalmologist) and Prof. Lorna Awo Renner (paediatric oncologist) discuss retinoblastoma in Ghana and the development of care for children with eye cancer across the country. What Is It Like to Have Retinoblastoma In Ghana? Ghana is a small, vibrant developing country in West Africa. Around 1300 children are expected to develop cancer each year in Ghana, including 65 babies and young children with retinoblastoma. As in many developing countries, community awareness of childhood cancer is low. Access to healthcare is limited, and many families seek help first from traditional healers. Large numbers of children currently die without being diagnosed. Or they are diagnosed when the cancer is advanced and cure is less likely. Retinoblastoma is one cancer where community awareness is changing that trend. Children with cancer are treated at one of two paediatric oncology units. Korle Bu Teaching Hospital, Ghana’s largest tertiary medical centre, is located in the capital city, Accra, which sits on the Gulf of Guinea in the far south of the country. 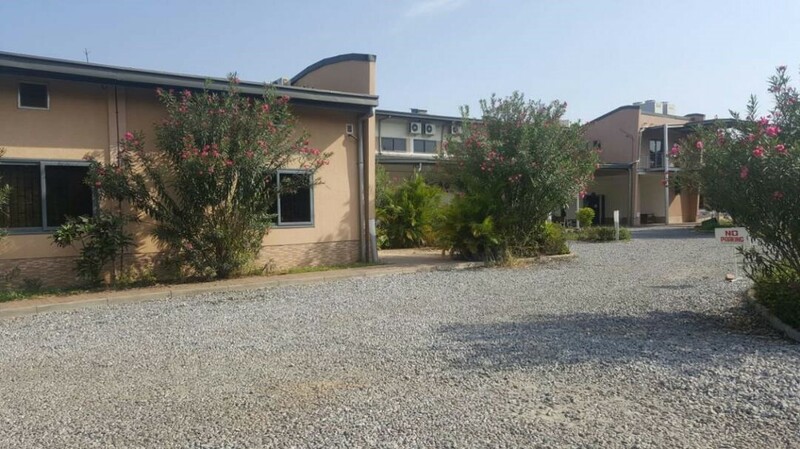 The second centre serves children at Komfe Anokye Teaching Hospital in Kumasi, about 5 hours drive north of Accra. Abandonment of therapy and follow up is high as childhood cancer treatment and ongoing care is not covered by the national health insurance scheme. Medical care costs are prohibitive for most families. But in the last decade, the development of local family support programs and international collaboration with World Child Cancer have enabled more children to begin and remain in treatment and follow up care. Treatment for children with retinoblastoma has come a long way from the days when enucleation was the only treatment option. In 2001, chemotherapy became available for children with advanced cases of this cancer. We have potential to save children’s lives, even when the cancer has already spread or pathology after surgery shows high risks for relapse. We have potential to save sight when children have cancer in both eyes. In 2002, we were privileged to have Judith Killen visit from Australia. Then a survivor of bilateral retinoblastoma, Judith was a strong advocate for children with this form of cancer. Following her visit, the Kids with Eye Cancer Association (KWECA) was formed. Funds raised by this organization, based in Australia, helped fund treatment for several children in Ghana. 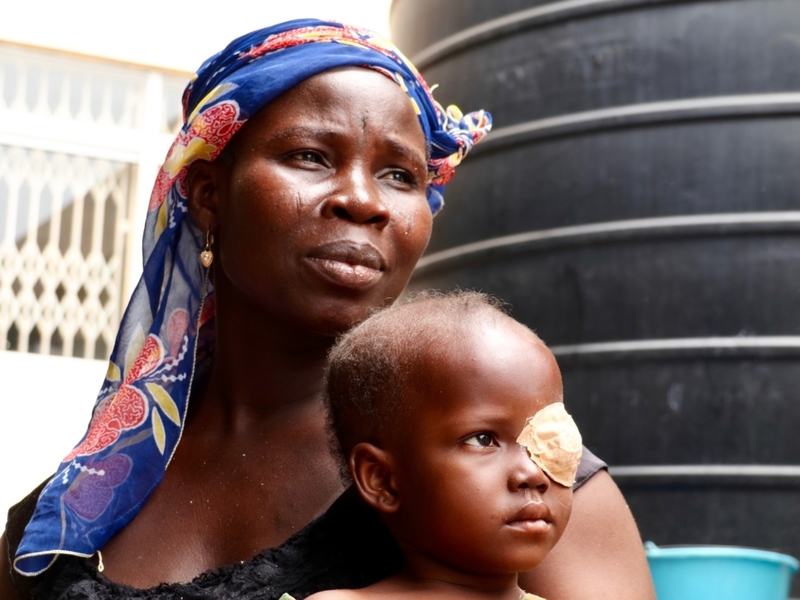 Today, we can offer families the hope of eye salvage therapy when the child is diagnosed early enough, and our program is becoming a hub in West Africa for advanced retinoblastoma care. 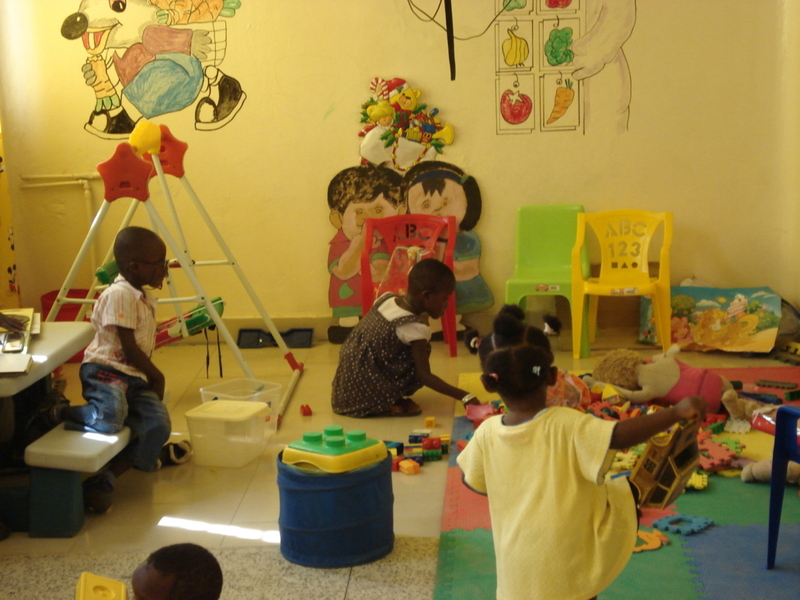 Playroom at the Korle Bu Teaching Hospital Eye Centre in Accra. What Is the Main Challenge Confronting Doctors? As in most developing countries, children with cancer in Ghana tend to be brought to the cancer treatment centres at quite an advanced stage. Children have the best opportunity for cure when they present early and their cancers are diagnosed and treated early. Getting this message across has been the cornerstone of all awareness creation strategies in the country. Real-life pictures of children with leukocoria (the tell-tale white eye glow so common in retinoblastoma) and more advanced disease with proptosis (a bulging eye) have been part of poster campaign strategies for the general public and training activities on recognition of early warning signs for health workers. How Can Frontline Health Workers Diagnose Retinoblastoma Earlier? Frontline heath workers at primary health facilities in resource limited settings need alternative ways to detect retinoblastoma without an ophthalmoscope. We undertook a study in 2008 which involved training community and public health nurses working at child welfare clinics in Accra. They were trained on the use of cheap pen torches to screen for retinoblastoma as part of routine health checks for infants during immunization sessions. This was successful and demonstrated the feasibility of such an approach. The Ghana Health Service has subsequently included leukocoria in the Child Health Record Booklet as one of the signs to look out for in young children. 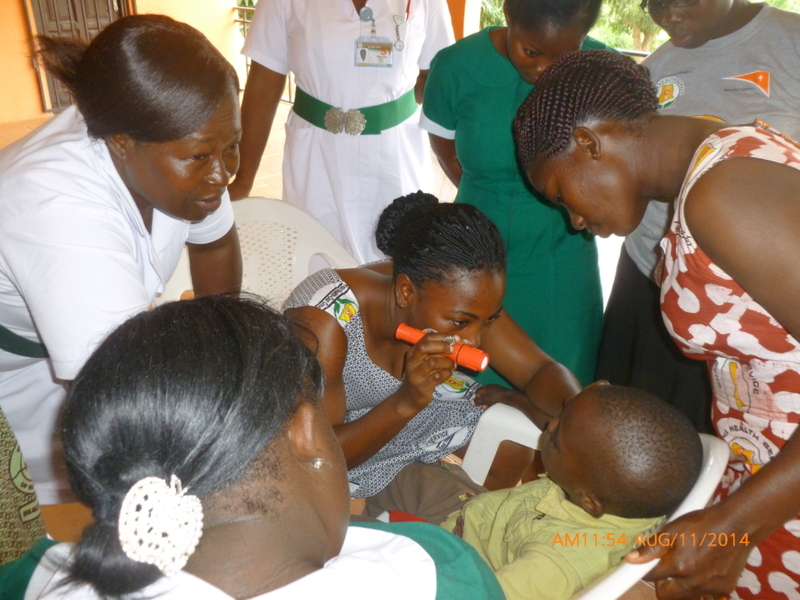 A primary eye health worker examines a child with a torchlight. Most of the children presenting in developing countries such as Ghana require enucleation. Chemotherapy prior to surgery and after surgery is commonly required when the cancer is advanced. Radiotherapy may have to be given based on pathology findings in the enucleated eye. Vision preserving treatments such as laser are available in only a couple of centres, are comparatively expensive and require multiple clinic visits both for treatment and follow up. This may be difficult to comply with due to transport and other costs for the family, posing a risk for the child’s long term survival. Newer treatment options, such as intra-arterial chemotherapy, have been added to the treatments available in Ghana, though for a select few on account of cost and suitability. It will ensure eye globe salvage and vision preservation when possible for bilateral retinoblastoma, and minimize children traveling outside Ghana for treatment. The Eye Centre at Korle Bu Teaching Hospital. There is real hope in the very near future for children needing alternatives to chemotherapy. The ophthalmologists and radiation oncologists will be trained this year by the world-renowned ocular oncologist, Dr Arun Singh from Cleveland, Ohio, USA, on the application of brachytherapy. Radioactive plaques are inserted close to the tumours so as to preserve vision in at least one eye and treat the cancer effectively. Having to refer such children to specialized centres outside Ghana, or the more heart wrenching procedure of having to perform bilateral enucleations, will soon be a thing of the past! Watch this space for an update later in the year when we will share exciting news and pictures detailing Dr Arun Singh’s highly anticipated visit to Ghana. Read a text version of Latifa’s story. What is the Future for Retinoblastoma in Ghana? To improve on the overall survival of children with retinoblastoma in Ghana, great strides are being taken to establish a comprehensive and sustainable national strategy for management. This has been ongoing since 2018. Hopefully by the end of this year, 2019, all national stakeholders, with the support of our international partners, will finalize the strategy and start its full implementation. Watch out for progress report on this exciting national effort! World Child Cancer supports children with retinoblastoma in Ghana. They are launching a new UK Aid Match appeal to give children with cancer the Gift of Growing Up. As part of the appeal, all donations made before June 30, 2019 will be doubled by the UK government, meaning all support will go twice as far. Dr. Vera Adobea Essuman is a senior lecturer with the School of Medicine and Dentistry, College of Health Sciences, University of Ghana and a Paediatric Ophthalmologist / Surgeon at Korle-Bu Teaching Hospital, Accra. She is a fellow of the West African College of Surgeons and Ghana College of Physicians & Surgeons and alumnus of LV Prasad Eye Institute, Hyderabad, India. She helped establish a model Child Friendly Eye Care Centre (CFECC) at the Ophthalmology unit, Korle-Bu Teaching Hospital. This was part of the WHO/Lions Club International/Government of Ghana Project for the Elimination of Childhood Blindness. As Paediatric Ophthalmologist in-charge of the CFECC, she is actively involved in pioneering the specialty in Ghana. She is currently spearheading efforts to establish a comprehensive and sustainable National Strategy for Retinoblastoma Management. 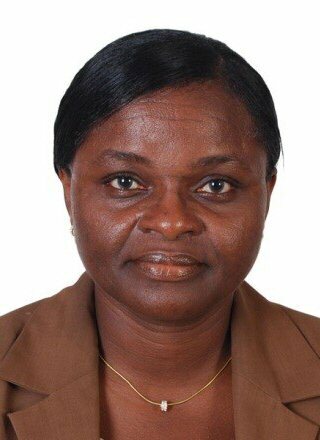 She is a trainer and examiner for ophthalmology residents in Ghana as well as in West Africa. 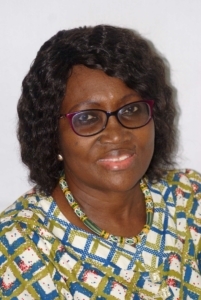 Prof. Lorna Awo Renner is an Associate Professor in the Department of Child Health, University of Ghana Medical School and the Head of the Paediatric Oncology Unit, Korle Bu Teaching Hospital, Accra. She is also the Local Project Lead of the World Child Cancer Twinning Programme between the Royal Hospital for Sick Children, Edinburgh and the POU at Korle Bu Hospital. She is a fellow of the Royal College of Paediatrics and Child Health, UK and the Ghana College of Physicians and Surgeons. She has been instrumental in conceptualizing and implementing awareness creation initiatives about childhood cancers, including retinoblastoma, in Ghana.